Oakland Police and Oakland Animal Services on Friday announced a special animal abuse task force after two German shepherd puppies and a four-month-old Husky puppy were found mutilated earlier in the week. Anoushah Rasta reports. Oakland Police and Oakland Animal Services on Friday announced a special animal abuse task force after two German shepherd puppies and a four-month-old Husky puppy were found mutilated earlier in the week. 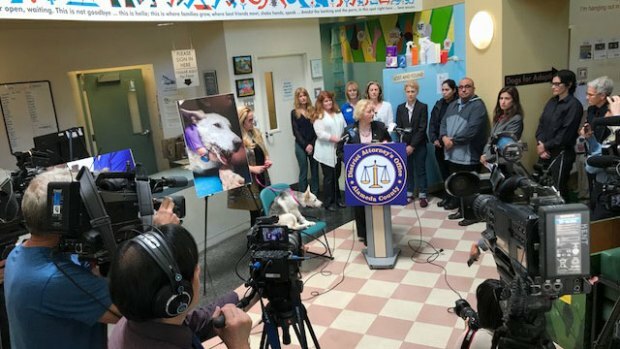 "Our fear is that whoever is hurting these dogs is also hurting people,” Alameda County District Attorney Nancy O’Malley said at the news conference. The officials released new material on the case, including photos of the dogs, that were deemed extremely graphic. A $15,000 reward was offered to anyone with information that can lead to arrest and conviction of the person responsible. Pet Food Express in Alameda, PETA and a private donor each donated $5,000. The puppies were discovered by Rocket Dog Rescue in the Oakland area, one with a broken jaw and another with a missing paw, after people in a homeless camp at 89th and G streets found them buried in the garbage. On Monday, the rescue announced a third puppy, a Husky, was found in the same garbage area with a broken jaw. "They are severe enough that it looks like an intentional act of torture," said Rebecca Katz from Oakland Animal Services. The dog with the missing hind paw was taken to a Pet Food Express in Alameda and got cleaned up, but the dog with the broken jaw was still in emergency care earlier in the week, officials said. "Part of the abuse that was inflicted, the torture that was inflicted on little Chloe who is about 4 months old, was that somebody took a tool and took off part of her jaw," said Alameda County District Attorney Nancy O’Malley. Current conditions of the canines are unclear. 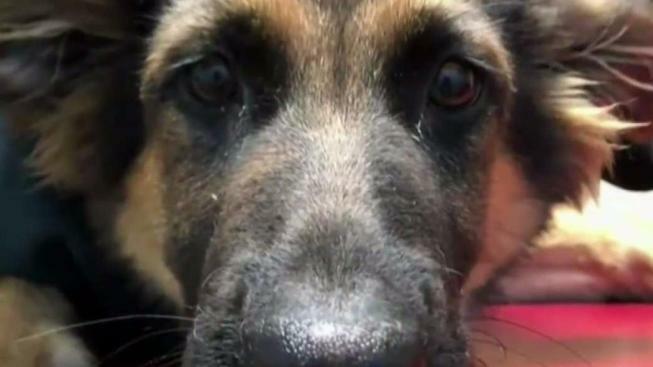 Two German shepherd puppies and a four-month-old Husky puppy were found mutilated but alive in Oakland, and now there’s a desperate attempt to save them and find them a home. Thom Jensen reports. Officials are concerned the attacker could hurt others in the community. "We know that people who commit crimes against animals often commit crimes against people," said Katz.